‘Lifting the Lid’ – My new novel out soon! At long last, my comedy thriller Lifting the Lid is about to be published – first as an e-book and then as a ‘proper’ paperback. Here’s a sneak preview of part of the front cover – an original painting by my good friend Kostas Tsoukatos. He usually does portraits and was a bit surprised when I told him what I wanted! Final publication details will be announced here soon, but in the meantime, click here if you’d like to read more information about the book and the opening four chapters. 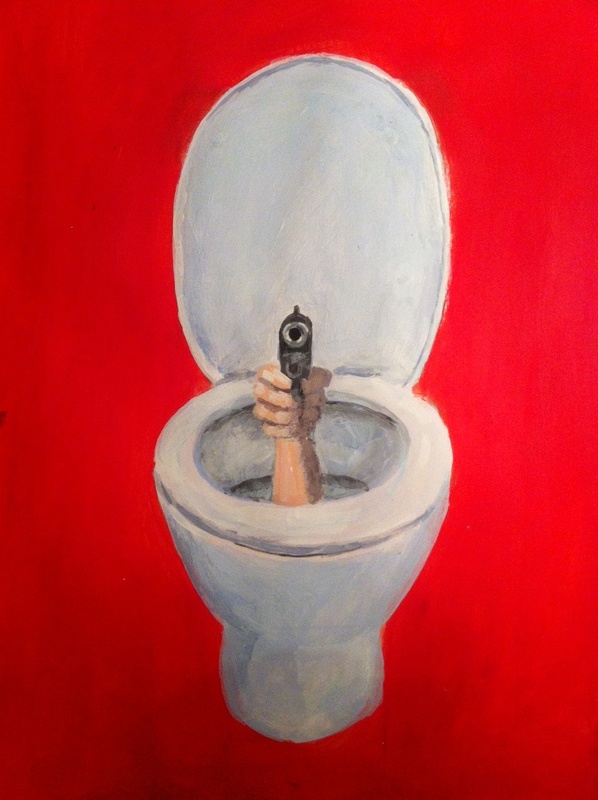 This entry was posted in Writing and tagged comedy thriller, cover image, Lifting the Lid, novel, publication, toilet by Rob Johnson. Bookmark the permalink. Congratulations Rob! I look forward to reading your novel very much. The cover is soooo funny…lol; Your friend did a great job on that! Thanks, Tina. You’ll be the first to know when the book comes out! Thank you. You didn’t say who you are though.